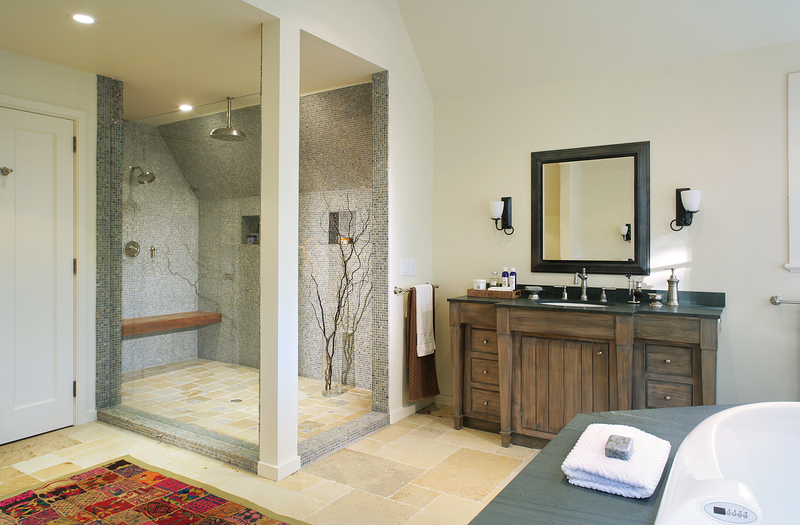 This master bathroom consists of his and her vanities. His vanity is opposite one shown. Shower is large enough for 2 people with plumbing that allows for rainhead shower.